Interior design of a small apartment of 67sq.m. 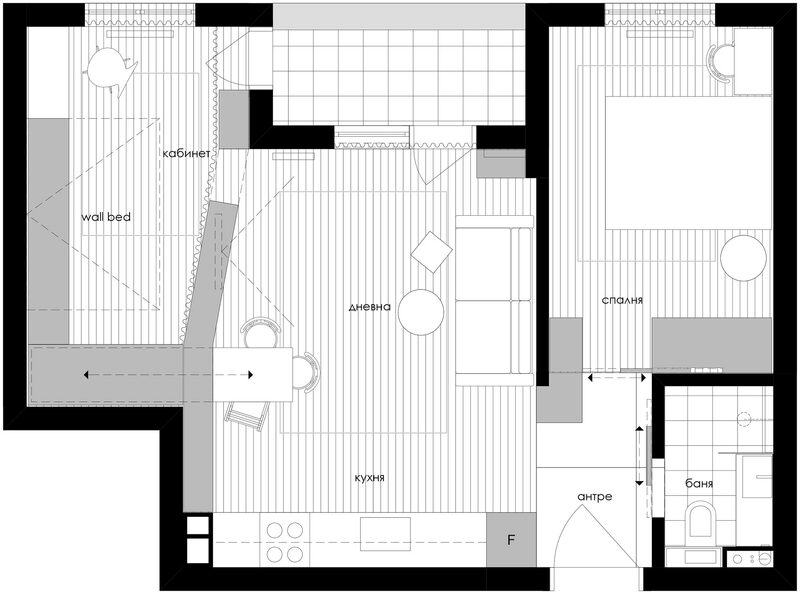 for a client in his 30s living alone, with occassional visitors - friends and family - staying overnight. The plan was slightly altered from its original condition by demolishing the wall between the living / dining room and one of the bedrooms, transforming it into a study for the owner. Except providing better natural lighting for both spaces, this approach creates a feeling of more spaciousness through the visual connection of these two otherwise small rooms. In order to preserve the option of having a sleeping place for visitors, a hidden wall bed is designed as part of the library in the study area. Lifted and folded to the wall at daytime, the bed provides comfortable sleep for any occassional visitors when needed. Another space-saving manoeuvre presents the dining table which, when not in use, can easily slide into the study's cabinet freeing up more space in the living area. 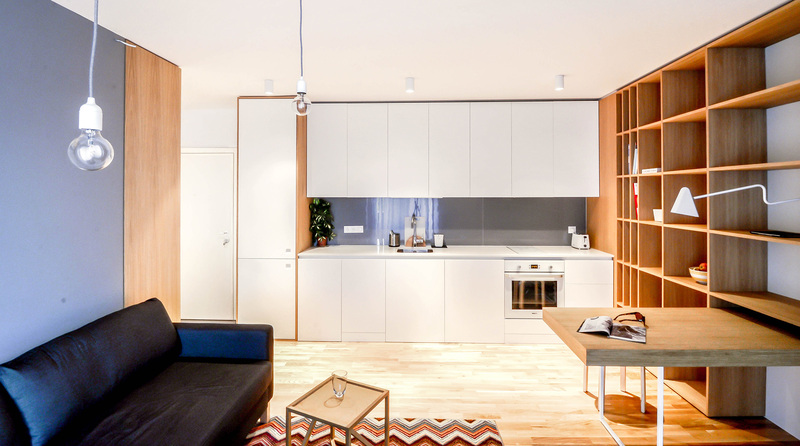 White walls and ceilings, natural wood for flooring and furniture and a little colour define the spaces in this small, but functional apartment.